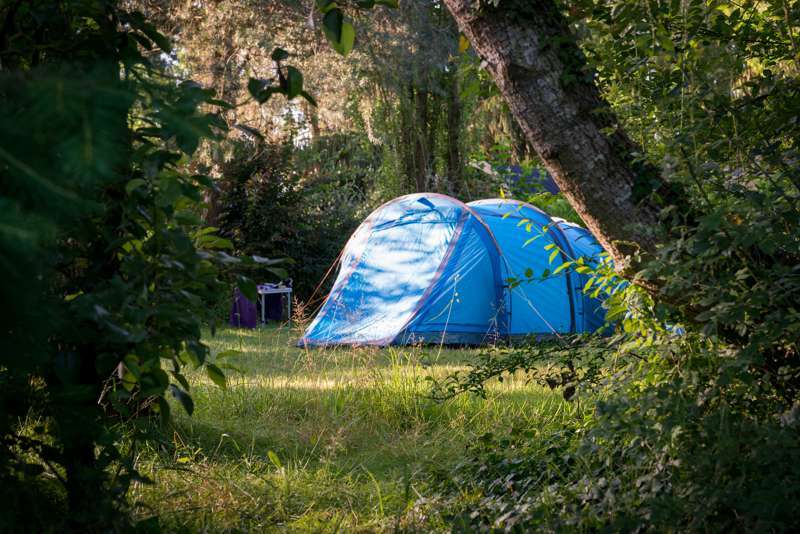 Grass Pitch - beautiful farm based campsite in the Loire Valley, with a sunny pitch and views over the fields. Gazing at the turrets and gleaming towers of Azay-le-Rideau, Villandry, or Valençay, which are so picture-book pretty they look more like Disneyland Paris than la vraie France, it’s easy to forget that not all of the chateaux decorating the Loire Valley exemplify state-of-the-art Renaissance luxury. Chinon, by contrast, is a fortress, all practical purpose and no frippery, while Amboise was heavily defended long before François I made it a centre of culture and learning and invited Leonardo da Vinci to add his genius to the court. The chateau at Blois (like Amboise, it’s no more than 20 minutes’ drive from Ferme de Prunay), was also built with defence in mind, a reminder that this region was fought over for many centuries, not least by the English. Ferme de Prunay looks perfectly peaceful now, but the farm originally formed the core of a Gallo-Roman fortified village. The ancient moat that curls around two sides was built to keep marauders out, but now it provides a gentle afternoon’s fishing practice. Similarly, when the owner, Michel Fouchault, dug out the swimming pool, he unearthed many graves and bones, but hopefully that won’t bother campeurs as they dive into the heated piscine. 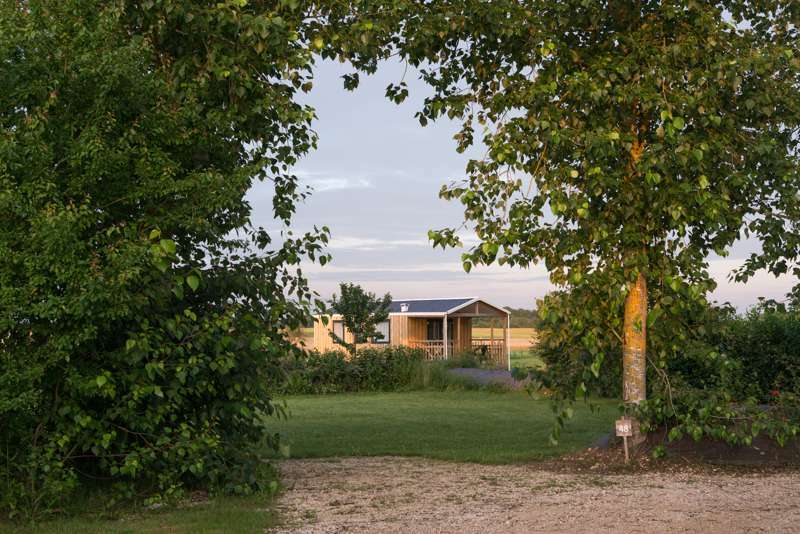 Traditions run deep here, but it’s perfectly safe and calm now: the farm has been in the Fouchault family for six generations, and Fouchault fils plans to continue the tradition, so you can make advance bookings in confidence. Beyond the floral borders of the site they cultivate 494 acres (200 hectares) of cereal crops, and that feeling of spaciousness extends to the enormous pitches, some of which are big enough to accommodate a car, a caravan, and a few badminton courts. 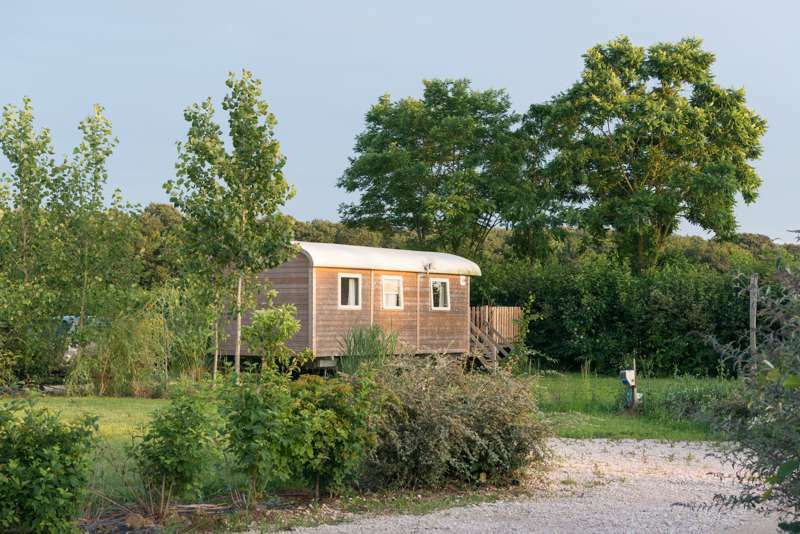 There’s never any danger of feeling hemmed in between caravans and motor homes here, and there’s a real variety to the pitches, too. The French tend to prefer privacy; they like their own space, with hedges and trees around them. 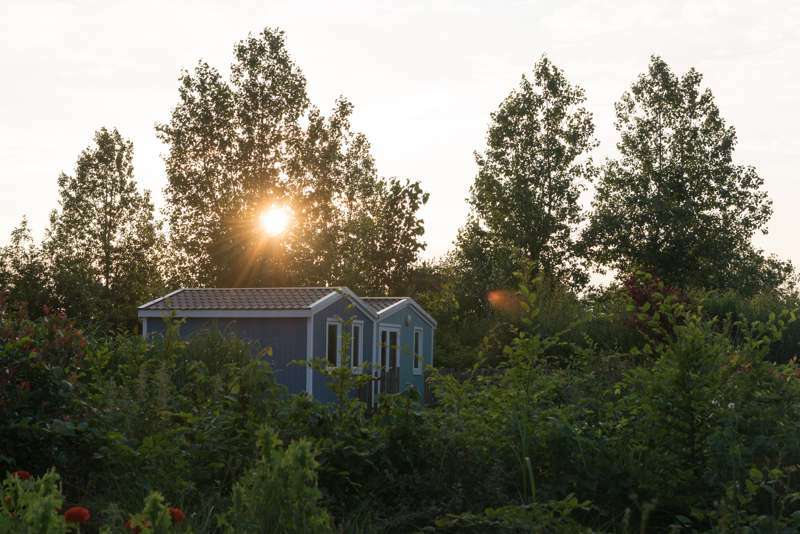 The Dutch, who live in a relatively small, crowded country, like the freedom of open space and expansive views, so they usually opt to be next to the fields. As for the British, well, they may go for one or the other. 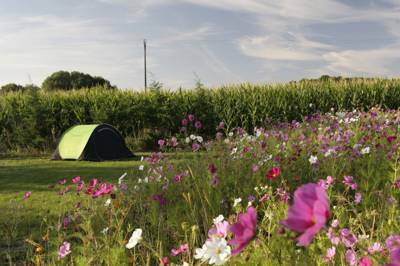 Many of the pitches have their own plum or apple trees, which campers are welcome to plunder, or you can join the Dutch overlooking a huge bank of wild flowers (planted to attract butterflies and bees) and the open fields. Those who choose the views should know that their freedom comes with a price tag, as they’re further away from the wash-block. But it’s worth it; a blooming horizon is wonderful to wake up to. The Ferme de Prunay also operates as a ferme pédagogique, or teaching farm, with school visits off season. Those opportunities continue throughout the summer, so children and their parents may learn how corn is ground and how to bake bread, for instance, or go on guided local walks, which may pass by a local goat farm or vineyard, with opportunities to buy the wine, cheese, and honey. This could be a model campsite, as they get so much right. The bikes around the site are all free to use, as is a fridge, cooker, the pool, and sports and leisure amenities.There are also volleyball and basketball areas and acres more space to play in front. It’s an easy-going place, especially for families. Kids really love the tractor-train rides and walking up the forest path to see the animals – take your pick from pigs, rabbits, chickens, donkeys, goats, turkeys, and a horse. Meanwhile, just 6 miles (10 km) away, is the turreted wonder that is Château de Chaumont and some of the finest grand Loire chateaux and gardens are but a short drive in every direction. 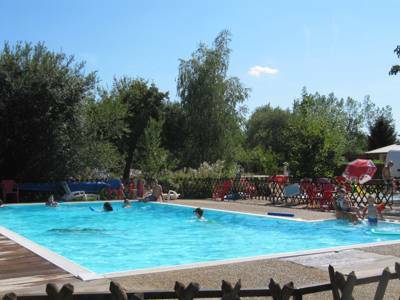 2 adults plus pitch plus electricity €20(€33 in high season). Extra adult €8 (€10.80), under-5s €4 (€4.80).